I started working part-time for Dr. Kaplan when I was a patient in high school. He helped me to get a beautiful smile and now I get to help others have the same great experience I had! Over the past 29 years, I have enjoyed interacting with patients and their families and getting to know them. Outside the office I enjoy spending time with my husband and two sons. I also like to ski, snowmobile, and take long walks. I have enjoyed working with Dr. Kaplan for the past 16 years. It is my pleasure to help families maximize their insurance benefits. I’m always available to answer any questions our patients may have to make their orthodontic treatment as smooth as possible. My favorite activities outside of the practice involve my husband, two children, and friends. I also play bocce ball and make wine! I graduated from Mt. Ida College with a degree in business and I have worked with Dr. Kaplan for the past 23 years. Over such a long time, I’ve been able to see a lot of patients grow up into happy, smiling young adults. I derive great pleasure from working with people and developing long term relationships with them. In my spare time, I enjoy being with my sons and grandchildren. I am a former patient of Dr. Kaplan’s and a graduate of Briarwood College. For 32 years I have assisted him in creating attractive smiles and improving the confidence of our patients. It is very gratifying to watch our patients grow up and to treat generations of families in the practice. When I am not working, I enjoy spending time with my two grown children, cooking, attending concerts, and exercising. I have been working with Dr. Kaplan since 2002. After graduating from Notre Dame Catholic High School, I attended Saint Joseph’s College in West Hartford. 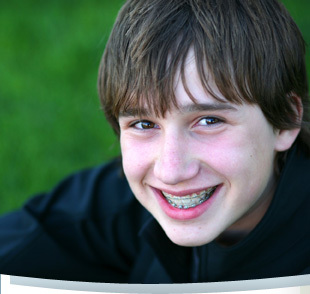 It is so wonderful working with our patients and seeing how their smiles and confidence in themselves improve when they have braces. We all celebrate when a patient sees their smile for the very first time! When I am not in the office I enjoy spending time with my daughter, friends, and playing cards. I have worked for Dr. Kaplan for the past nine years. I love this job because I have a passion to work with patients and help improve the lives of those around me. Seeing the smiling faces of our patients always makes my day! I am from Puerto Rico and being fluent in Spanish helps our office communicate well with a variety of patients. When I have free time I enjoy being with my husband, our sons, and our dog. For the past 11 years it has been my pleasure to work with patients and their families at our practice. It is very satisfying to see how beautifully a patient progresses through treatment and matures. Our team is made up of some wonderful people, making coming to work every day a lot of fun! Outside the office I enjoy spending time with my husband and our two grown children, camping, NASCAR racing, and taking care of our pets. I graduated from the Wright Technical School and I have worked with Dr. Kaplan since 2002. My favorite part of the job is spending time with the patients and helping them achieve beautiful smiles. I like to make sure our patients are comfortable when they’re here and happy when they leave. I am married with two grown children and three dogs. I also love to bake. I have worked with Dr. Kaplan for 26 years and enjoy making study models, removable orthodontic appliances, and retainers. Our doctor and staff make up a great team, working well together towards a common goal- beautiful smiles! I am a life long resident of Ansonia and graduate of Briarwood College. I am married with three children and two very special pets I love to spoil, Zoey and Bailey.